The Eclipse Series has established a new benchmark for excellence in an all-purpose airbrush. 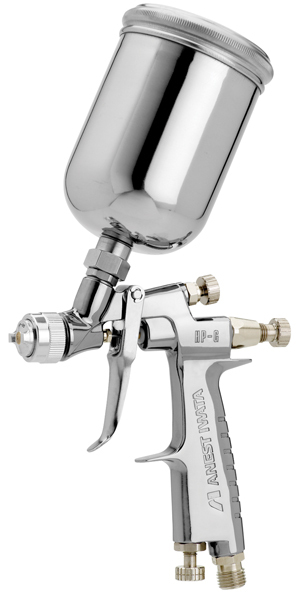 These multi-purpose, high-paint-flow, high-detail airbrushes cover a wide range of uses. The G5 has a 0.5 mm stainless steel nozzle and an 8 oz (236 ml) stainless steel cup with lid.